Niigata-Yake-yama volcano is located in the Niigata prefecture in central Honshu, near the Japan Sea. It is one of several Japanese volcanoes named Yake-yama ("Burning Mountain"). It is a very young andesitic-to-dacitic lava dome. A large explosive eruption in 887 AD produced a major pyroclastic flow which traveled 20 km to the sea. 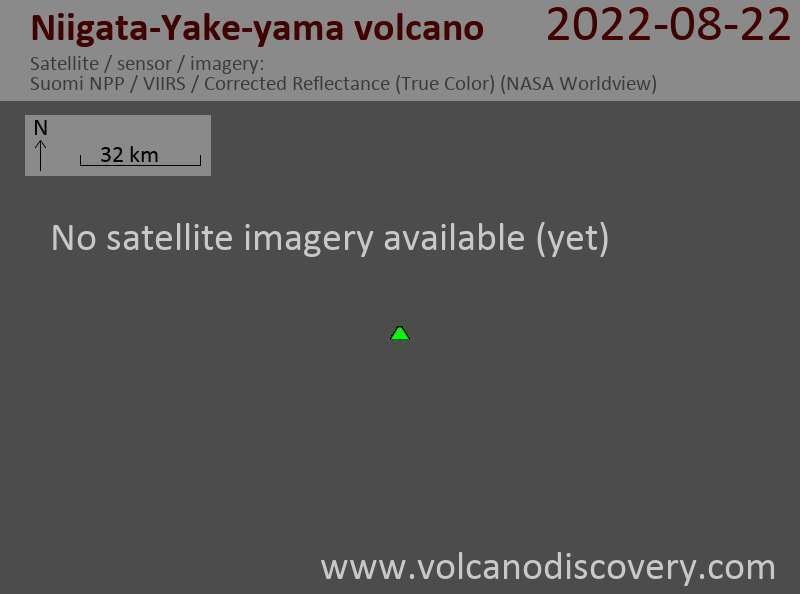 In addition, a slight increase in fumarolic activity on the eastern side of the summit crater was noted and some inflation of the volcanic edifice recorded. 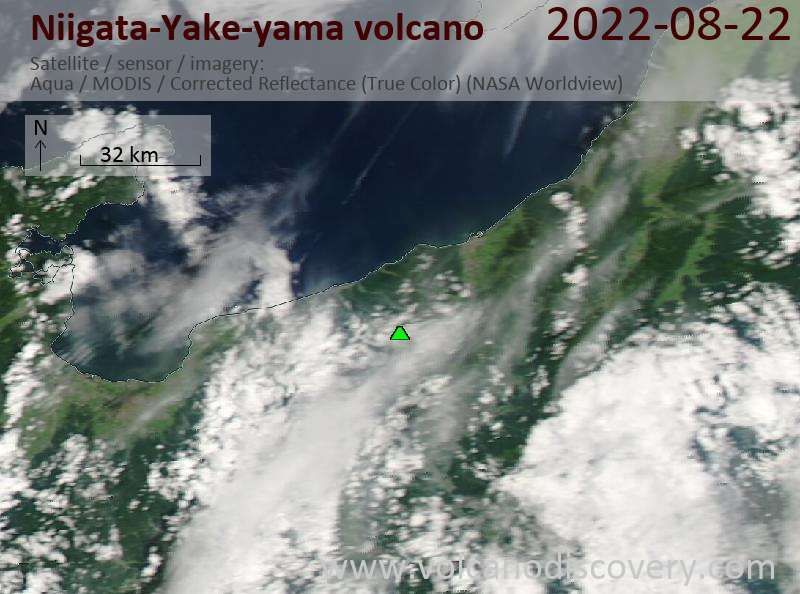 According to the Niigata Meteorological Observatory monitoring the volcano, the number of volcanic earthquakes has been up to 4 times that of normal background levels, with up to 23 quakes recorded on a single day. Seismic activity has been dominated by low-frequency earthquakes, which are thought to reflect internal fluid movements (gasses, hot watery solutions, as well as magma).